At the request of the Finance Executive Committee of City Council we reviewed the City's proposed package of agreement with Fulton County to lease and eventually purchase the city's detention center. We identified four areas of potential risk in the agreements. 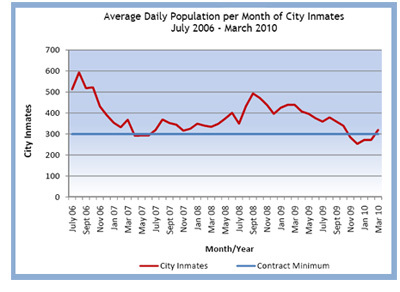 The city’s guaranteed payment for a minimum population of 300 inmates may prove to be too high. The proposed agreement appears to allow the county to impose annual per diem rate increases with notification to the city. The proposed inmate services agreement does not address who is responsible for transporting and guarding inmates to Grady. The proposed agreements impose a late payment fee for the county’s annual lease payments but not for the county’s payments for use of courtrooms.